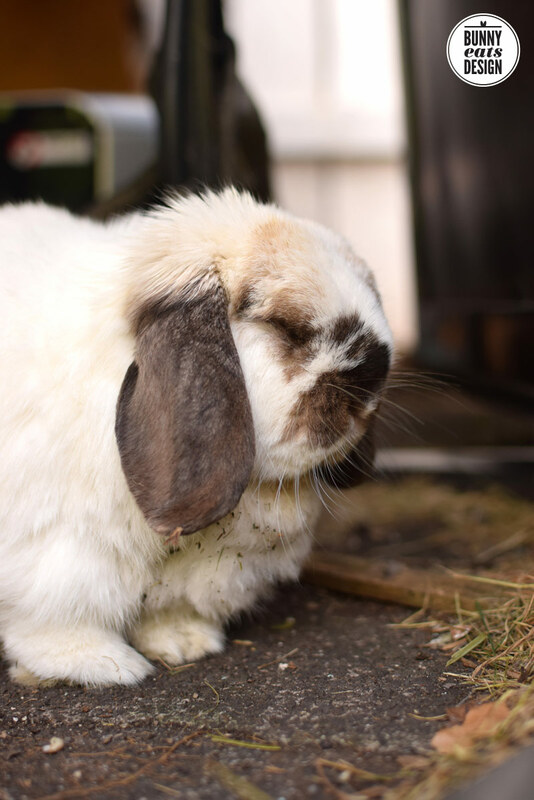 RWAF NZ Hopper Group is a rabbit welfare group in New Zealand. Yesterday on Facebook, the RWAF Hopper Group of New Zealand posted a pic of a rabbit enjoying a shady nook. 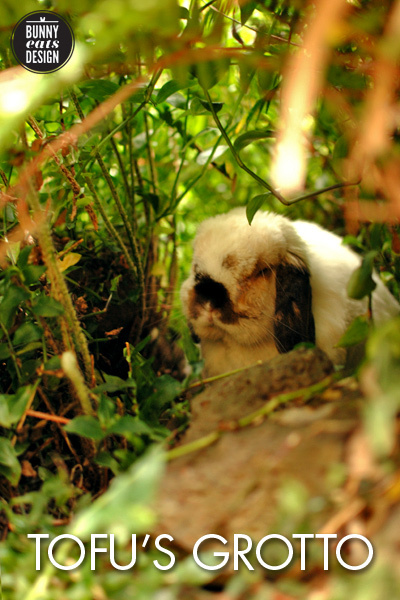 A shady nook is the cool spot that bunnies seek out during hot summer days. Rabbits prefer the cold to the heat and are very good at finding the best spots. Tofu the bunny spends his days roaming in our garden. It can get hot out but there are plenty of spots for him to find shade. Tofu used to have an intricate grotto inside a bush in our garden. He had several tunnels in that bush so that he could enter it from different points. 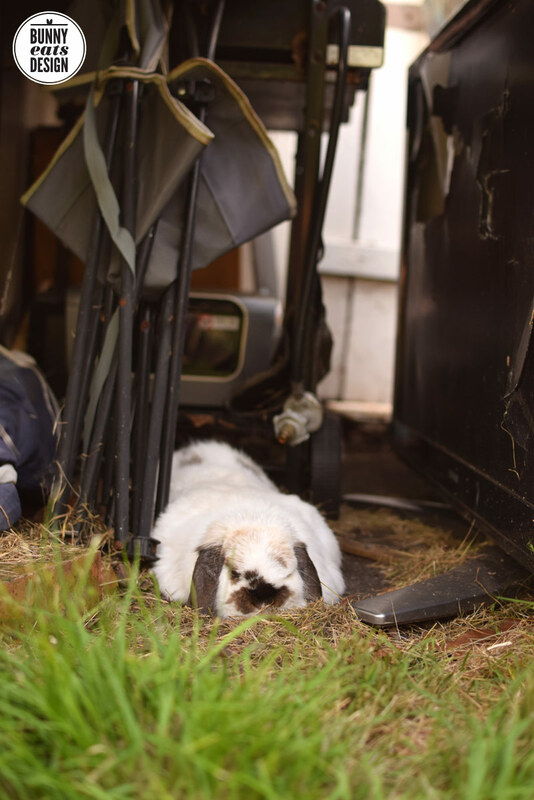 Since he has become blind, the grotto is now overgrown and this summer, he prefers to hang out in the desolate junk pile that has accumulated under our deck. I keep meaning to clear out the junk, as it looks pretty rank. A collection of broken things: old TV, inkjet printer, rusty gas barbecue, a camp chair, an umbrella, a bedside table missing drawers. The plan was to break down the pieces and slowly add them with our weekly rubbish collection. I certainly didn’t plan to take photos of our junk. Who knew our blind bunny would choose to hang out here? Aw, Tofu is the cutest. 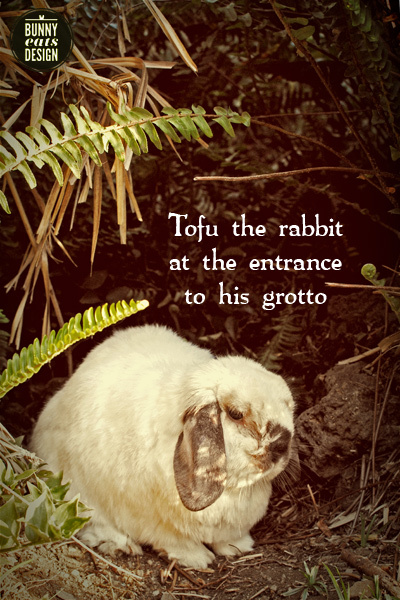 I love his little grotto in the garden – it reminds me of the tunnels my brother and I would dig through the ferns in our mom’s garden when we were kids! I’m sorry t hear Tofu isn’t using his anymore, but glad he’s found another spot to keep cool. Yes, I kind of wish I was smaller so I could have crawled into his grotto with him. Like your tunnels, he had some ferns in there too. So lush. Reminded me of a magical fairy place.